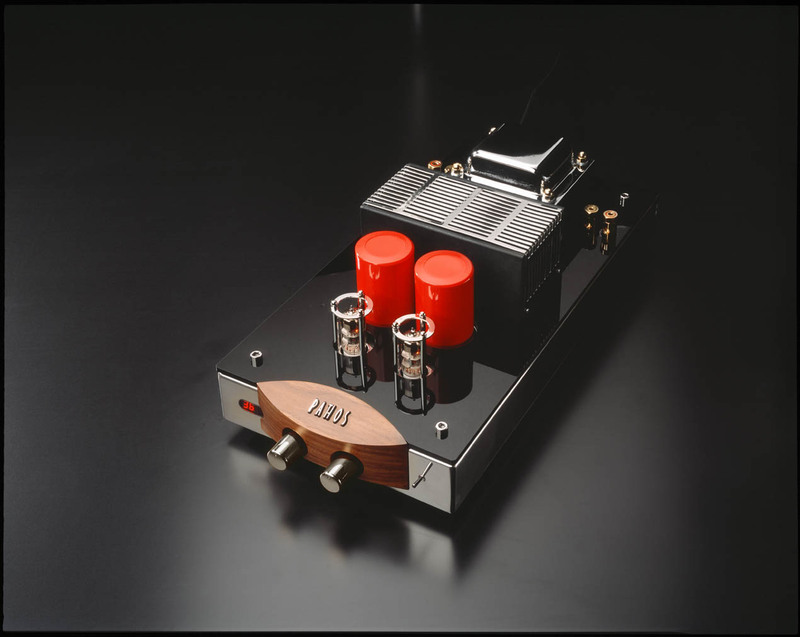 The pre-stage - or, better, the preamplifier - is purely tube, balanced, pure Class A, extremely low noise, with high intrinsic linearity and without any feedback. It provides an exquisitely tube sound in terms of transparency, air, harmonics and refinement… in one word, musicality. The power stage is a solid state power amplifier, high bias current, Class A/AB in order to adequately drive every load. It provides the sound with speed and dynamics, without influencing the tube nature of the sound. The volume control is motorised and remote controlled, the remote itself is in solid wood. Power supplies are over-dimensioned and stabilized. Selected components, pure silver Pathos signal cable wiring, gold plated terminals, high quality materials and refinement at its highest standard are additional benefits provided with the Classic One. 1- We used an high quality op-amp to drive the mosfet power amplifier. It is an ultra low noise, high?linearity and very low distortion op-amp. More definition on the sound and clearer. You'll immediately appreciate its superior sound. 2- We used a new volume control with Burr-Brown which is more linear and it can accept up to +/-12V audio signal. In this way we avoid the input saturation when the CD player has high voltage output (5V). There is also a new power supply. 3- We added a particular electronic stage to protect the power amplifiers against short-circuit on the speaker connectors. This particular network is an high impedance stage that feels the current and save the output stage when a short circuit happens. 4- We used a new high quality speaker connectors that are completely protected with a transparent plastic, in order to avoid short circuit. 5- We used a new stainless steel cover for the power transformer. 6- New power transformer which can work up to 130Vac , so it is less sensitive to the different voltages in the US territory. We also are also supplying an additional set of spare fuses. ?We use chromium plated knobs and red paduk wood for front panel.